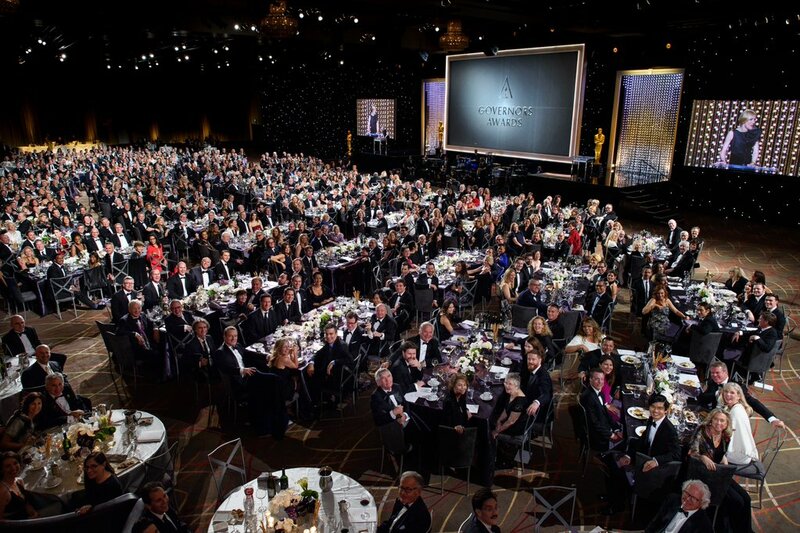 The Academy’s annual Governor’s Awards were held last night (Hollywood time) awarding three industry luminaries honorary Oscars for their lifetime of work . 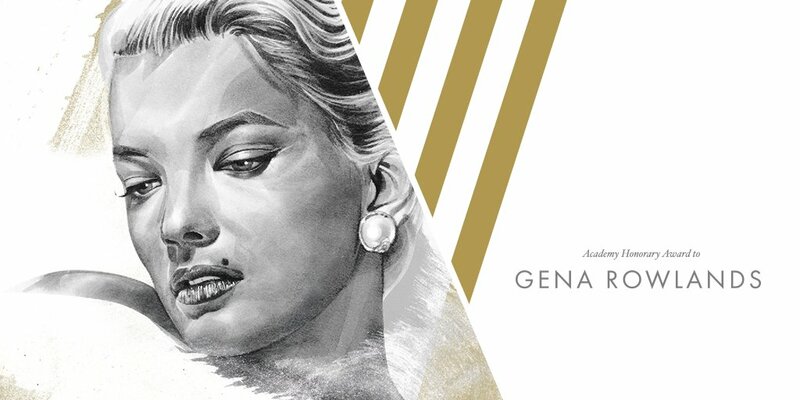 The three recipients this year were Gina Rowlands, Spike Lee, and Debbie Reynolds. 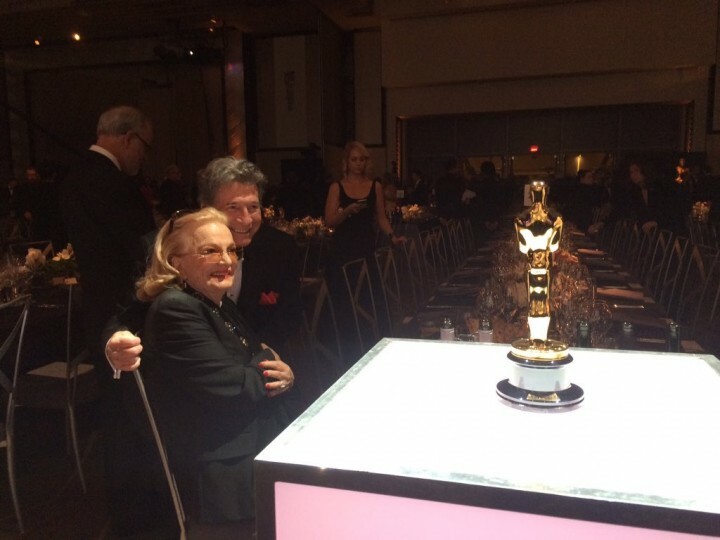 Gina Rowlands, together with husband and film director John Cassavetes, attending the 2015 Academy Governor’s Awards. From the Academy Website: Lee, a champion of independent film and an inspiration to young filmmakers, made an auspicious debut with his NYU thesis film, “Joe’s Bed-Stuy Barbershop: We Cut Heads,” which won a Student Academy Award® in 1983. 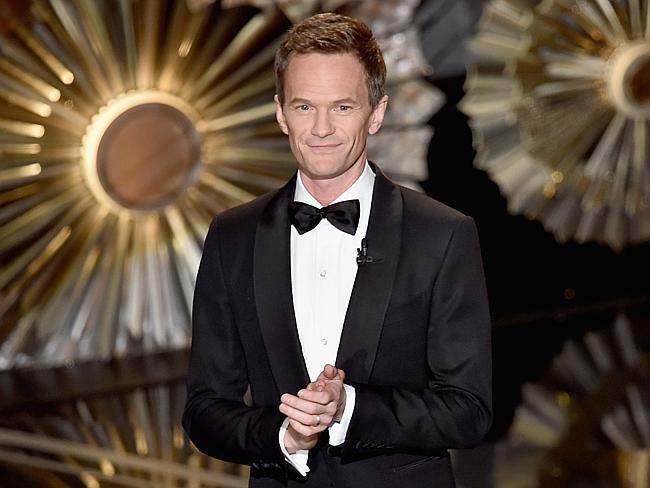 He proceeded to blaze a distinctive trail with such features as “She’s Gotta Have It,” “School Daze” and “Do the Right Thing,” which earned him a 1989 Oscar® nomination for Original Screenplay. 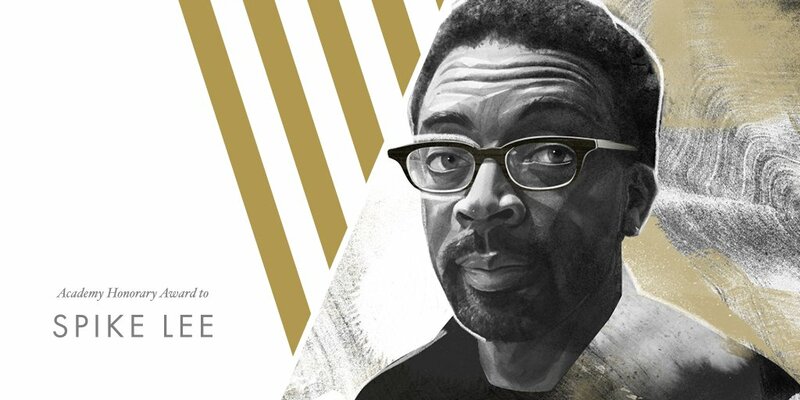 His work as a director ranges from the Oscar-nominated documentary feature “4 Little Girls” to such mainstream successes as “Malcolm X” and “Inside Man.” Lee’s other feature credits include “Mo’ Better Blues,” “Jungle Fever,” “Crooklyn,” “He Got Game,” “25th Hour,” “Miracle at St. Anna” and “Red Hook Summer.” He currently serves as the artistic director of the graduate film program at NYU. 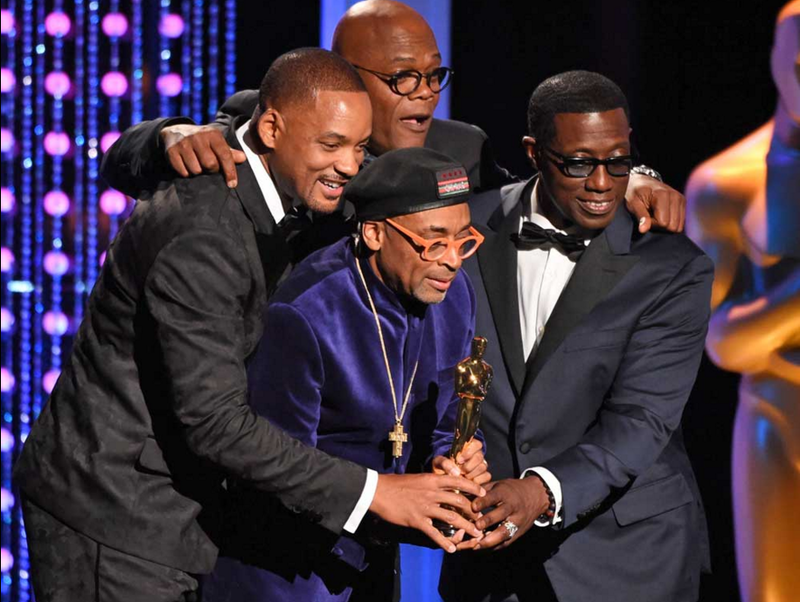 Spike Lee (C) with his Honorary Oscar, together with Will Smith (L), Samuel L Jackson (Rear), and Wesley Snipes (R). 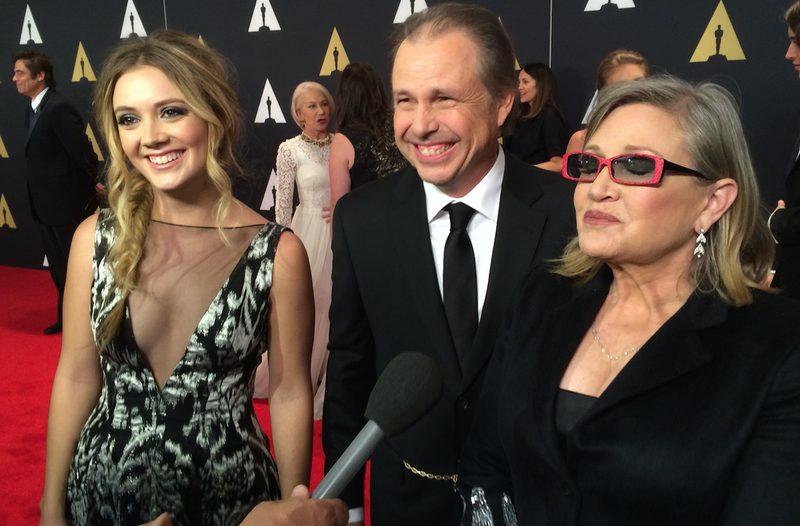 Accepting the award for Debbie Reynolds was her granddaughter Billie Lourd (L), her father and mother, Carrie Fisher (R). Debbie Reynolds could not to attend the Governor’s Awards, instead sending her granddaughter, Billie Lourd, to accept in her place. Ms Lourd is the daughter of Star Wars actress Carrie Fisher, who also attended the event. 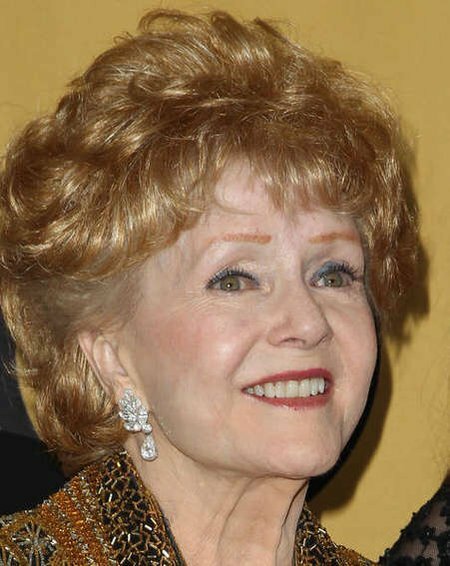 Debbie Reynolds, pictured here at another function, was unable to attend the event. 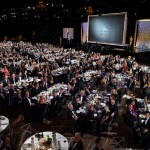 Attendees at the Academy Governor’s Awards.